Treatment of cats for feline hyperthyroidism with Radioactive Iodine (I-131) is the preferred method of therapy (and well as in humans). It is as easy as one injection just under the skin, much like a routine feline vaccine. I-131 is safe and effective. A short stay (3 to 5 days) in the Thyro-Cat hyperthyroidism treatment facility is required by law until the level of radiation is at an acceptable level. The I-131 hyperthyroid cat treatment is absorbed quickly into the cat's bloodstream and the diseased thyroid tissue. Once in the thyroid, it destroys the overactive portions of the thyroid gland. Thyro-Cat is an approved specialty facility with State Department of Health and Nuclear Regulatory Commission for use of I-131. Cat hyperthyroidism is a commonly diagnosed endocrine pathology in older cats. It is caused by a tumor that produces too much feline thyroid hormone. The disease is usually fatal if left untreated. Medical therapy for feline hyperthyroidism (methimazole - Tapazole®) is required daily, is a life-long treatment, and does not cure the cat's hyperthyroid condition. The difficulties associated with giving pills to cats often causes stress to both the animal and owner. Tapazole may have side effects, especially relative to the liver and blood system. The drug therapy must be adjusted, based on periodic blood tests, and the cost of therapy and tests is usually over $800 per year. Surgical therapy for feline hyperthyroidism requires anesthesia, may need to be repeated, and may result in a deficiency of parathyroid hormone if these glands are inadvertently removed. Surgery may not be effective in removing all of the affected thyroid tissue causing feline hyperthyroidism. 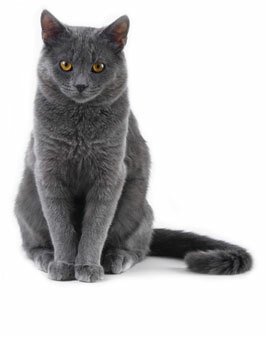 Radioactive Iodine (I-131) therapy for feline hyperthyroidism is very effective, has few side effects, is a one-time treatment in over 95% of cats with hyperthyroidism, and does not require administration of pills or anesthesia. One injection under your cat's skin is all that is needed! The cost of radioactive iodine therapy is similar to the other forms of therapy, and is often less expensive when compared to long term medical therapy or the higher probability of a required second surgery. Prior to making a final decision relative to initiating the I-131 hyperthyroidism therapy, all cats are screened closely for the presence of other illnesses, including cardiovascular and kidney disease. The usual screening tests include a complete blood count, serology, urinalysis, and radiographs. Your primary care veterinarian performs the routine tests prior to the final evaluation. The x-rays and results of the routine tests are reviewed by the specialists at Thyro-Cat and the results of your cat's tests are discussed with your veterinarian. If appropriate, a methimazole (Tapazole) trial should be conducted to assess the potential for unmasking renal disease that may have been obscured by the hyperthyroid state. This trial is performed by giving methimazole (Tapazole) at an adequate dose to induce a euthyroid state for at least two (2) weeks – this is determined by monitoring the blood T4 value. Once the pet has been euthyroid for two weeks while on methimazole, then renal function is assessed by evaluating the BUN, creatinine and urine specific gravity values. If the laboratory findings indicate stable renal function in the euthyroid pet while being given methimazole, then there is a greater probability the patient will have stable renal function following I-131 therapy. Methimazole therapy should be stopped at least seven (7) days prior to I-131 therapy. If your cat is an appropriate candidate for I-131 therapy, your cat will be admitted, the I-131 will be administered, and your cat will be monitored closely for the next 3-5 days in our spacious, comfortable, climate-controlled facility, complete with videos for your cat’s enjoyment. Daily personalized updates will always be available. *For more information on RadioIodine Therapy, please see our infographic on RadioIodine Treatment for Feline Hyperthyroidism. *For general information and/or to answer other questions you may have, please visit our Thyro-Cat FAQs section. *For a general informational overview of Feline Hyperthyroidism, please click here.